Trial and error is the easiest way to determine what brand of golf ball works best for you. Golf ball technology has advanced considerably since 2000, with more specialized balls being introduced to the marketplace every year. The idea that one ball fits all is outdated and forces casual golfers to sacrifice performance in many cases. A quick review of the strengths and weaknesses of your game can point you in the direction of a stroke-saving golf ball. Before you understand what ball you need, you need to know what kind of balls are available. Starting from ultra-durable two-piece Surlyn cover balls designed for distance and durability, and working up to four- or five-piece urethane cover balls designed for tour professionals, there is a ball that suits your game. The combination of mantle layers, compression and cover will determine the performance and responsiveness of a golf ball. Golf balls with three or more layers will spin more on approach shots, giving you more control and a better understanding of what your shot will do when it lands on the green. Balls with fewer than three layers tend to be harder and spin less. Surlyn is a durable cover that doesn't create as high a spin rate upon impact. Balls made with Surlyn covers are generally less expensive and lack the responsiveness of premium level alternatives. The appeal of Surlyn is in its durability and price. Most brands are available for less than $20 per dozen, many with price points closer to $1 per ball. Surlyn balls are great for the beginner, and those struggling to keep the ball in play. Because the Surlyn doesn't spin as much as other materials the cover can often reduce the hook and slice on your shots. The uniform choice for golf balls used at the professional level, urethane is a soft and somewhat durable material that responds very well around the greens. More skilled players depend on their short game to lower their scores, and urethane balls give better players more control over the way the ball reacts after impact. Very few high handicap players lose strokes because their approach shot spun the wrong way, or their blast from the bunker won't spin back close to the hole, things that make better players what they are. Urethane gives you the chance to be very precise with your approaches. The downside is the material will not last as long as surlyn, often requiring a new ball after only a few holes, and the high spin rate can adversely affect poorly struck shots. While other factors, such as course condition, layout, and weather can affect the right ball that day, the best way to find a great match is to make an honest assessment of your needs on the course. If you struggle with a slice off the tee, then the expensive tour level ball is only going to exaggerate your problem. Remember, tour performance golf balls are designed to respond to the way they're hit and react accordingly. These balls will not cure your slice. With all the information you have it's time to make a few purchases and head out to the course. A good rule of thumb; if your handicap is above 10, hit a few tee shots with each ball and see which one you like best. For players with single digit handicaps, hit a several types of shots from 100 yards and in, including chip shots, pitches, sand shots and putts. 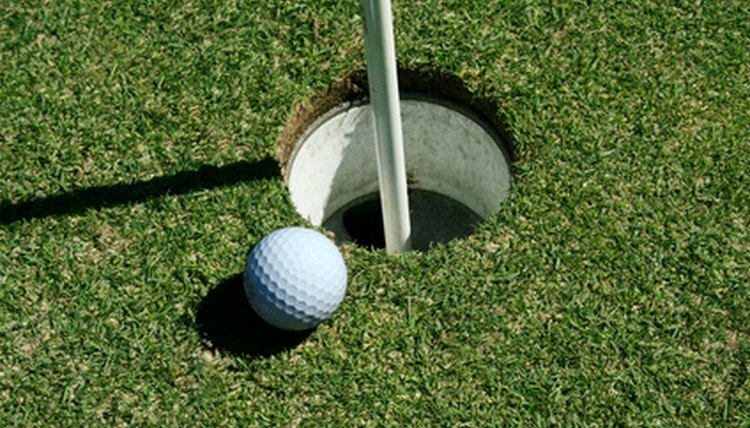 Whichever ball appeals to you will do the most to improve your scores. And as always, if you can't tell the difference between the ball selling for $50 per dozen and the one selling for $20, play the cheaper ball.